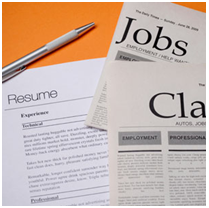 Posted on February 5th, by Karen Epp in Job Search, Resume Writing. Comments Off on Is My Resume too Long? Maybe you should be asking, Is it too Short? As a veteran recruiter my answer, A one page resume is usually to short and a three page resume is NOT too long. The key is to have the right information on your resume. In my experience one page resumes do not have enough information to grab my attention or the attention of search engines. The most common and costly mistake when sourcing for candidates is relying on job ads to produce quality resumes. We come across this quite often. Frustrated clients spent thousands on job ads for a few months and expected to hire. Only to result in a few B quality resumes.